Yes!!! I got a taste of what it takes to volunteer with the CHOC Children's Foundation CHOC Follies cast and crew. Fundraising this year goes to the new Mental Health support at CHOC. Thank you CHOC for going above and beyond to help our youth and their families get through many trials to see triumphs of all kinds. CHOC is very special to us.. you can read more about our story here. 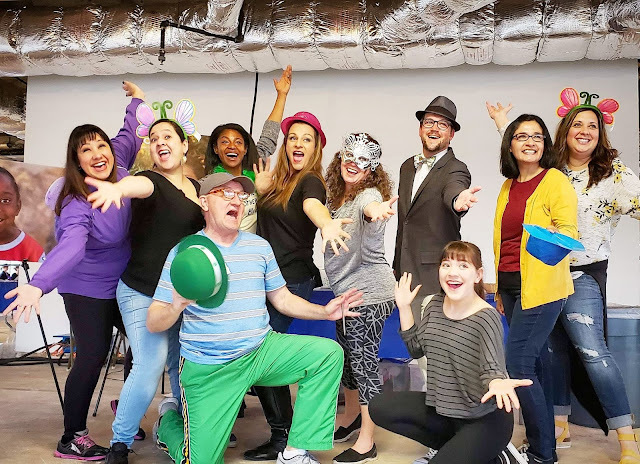 CHOC Follies is a spring musical put on by communitiy members who gather to sing and dance in support of CHOC Children’s mission to advance children’s health. This year’s show will raise awareness for CHOC Children’s mental health initiative, a full continuum of care for children and families facing mental health challenges. Proceeds from this event support the care, services, education, and research that CHOC Children’s provides in our community. You can check out my song and dance moment here. Wait... enter my #Giveaway too! Enter to win 4 tickets to CHOC Follies. Dates to select from - 3/28 8pm, 3/29 8pm, 3/30 2pm or 3/30 8pm. Oh and don't forget that CHOC Walk registration is now open... register your team here.